The Holidays are the best time to pull out all the stops as far as decorating goes. Sometimes, though, it's all a little bit too much. Short on cash and on time? 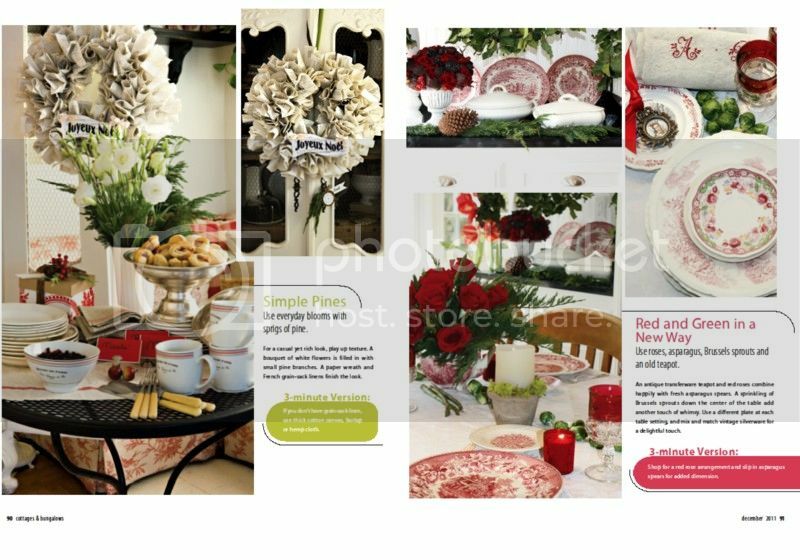 Here are some easy, pretty ideas for your holiday tables that won't take a lot of time. 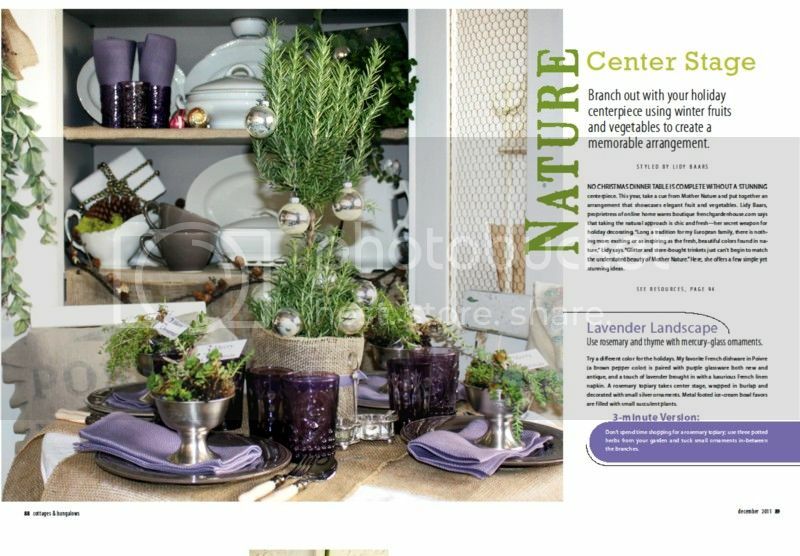 I developed these tables using herbs, fruits and vegetables for Cottages & Bungalows Magazine for this holiday season. Be sure to go find this issue, it's filled with inspiration! 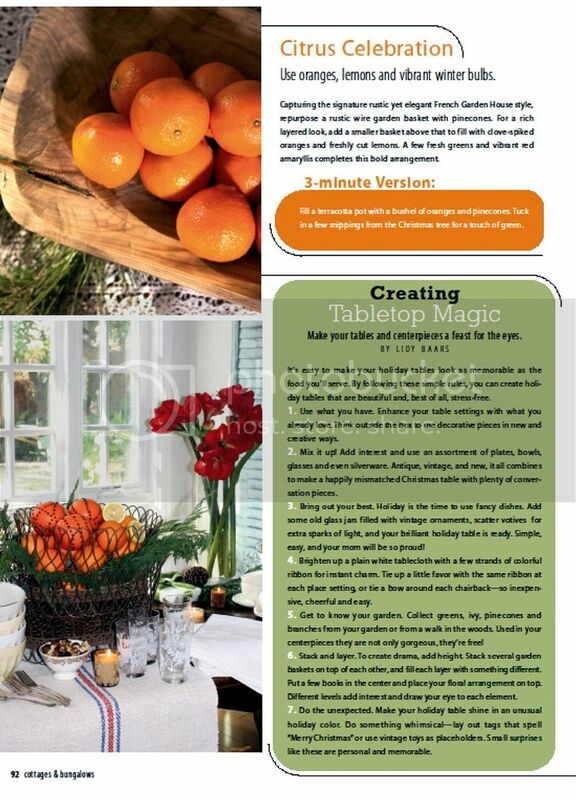 To read the full Creating Table Top Magic article, please go here.